E numbers labelled from E500 to E599 form a category called acidity regulators and anti-caking agents. Here we look at exactly what their role in products is and what all the numbers are. As the name aptly suggests, acidity regulators are used in processed foods to change or control the acidity or alkalinity of products. It helps make them more palatable for the consumer, but also helps the food in its desired state when it is being made. Sometimes acidity regulators are referred to as pH control agents too. E260 – Aceetic acid (this is also a buffer, preservative, flavouring and diluent). E261 – Potassium acetate (this is also a colour preserver and buffer). E262 – Sodium hydrogen diacetate (this is also a preservative buffer and sequestrant). 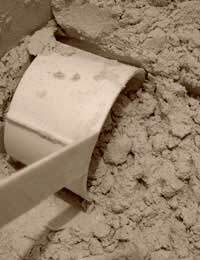 When processed foods are being made, the ingredients are frequently mixed together in powdered form. Anti-caking agents are used to help with this process, ensuring that all the powders mix together properly during production, which helps reduce the risk of ingredients clumping or sticking together in lumps. If anti-caking agents aren’t included, some foods and drinks we take for granted wouldn’t be as easy to consume as usual. For example, hot chocolate that comes in powdered form in packets or tubs wouldn’t mix up so easily to form a gorgeous drink. Where the powders are used in vending machines, they’d become lumpy, block the small tubes in the machines and the drink wouldn’t taste right. There are at least 99 different types of anti-caking agents used in foods and drinks today, ranging from some that come from natural sources to others that are manmade specifically. Some of the natural anti-caking agents include kaolin (E559) and talc (E553b). Manufactured anti-caking ingredients include calcium silicate (E552), magnesium carbonate (E504) and sodium aluminosilicate (E554). E421 – Mannitol (which is also a texturising agent, a sweetening agent, and anti-sticking agent and a humectant). E460a – Microcrystalline cellulose (which is also a bulking agent, binder and stabiliser). E460b – Alpha cellulose (which is also a bulking agent, binder and stabiliser). The following list offers a complete reference guide to all the acidity regulators and anti-caking agents commonly used in foods and drinks. If you’re keen to avoid buying products with these E number in, why not print this list out and take it shopping with you.